This is a surgical error knee replacement malpractice lawsuit filed against an orthopedist in Baltimore County. Filed on January 27, 2017, it is the 45th medical malpractice case filed in 2017 in Maryland. Plaintiff goes to defendant doctor at Greenspring Surgery Center in Baltimore County and has a left unicompartmental knee replacement done. After the knee replacement, defendant doctor instructs plaintiff to undergo physical therapy. Four months later, plaintiff begins to have pain in his left knee that increases with weight-bearing activities. He also has an effusion that requires blood in his knee to be removed. He goes to a different doctor for a second opinion. This doctor informs him that he is having knee pain because there was a loose tibial component of the replacement. He refers plaintiff to another orthopedist at Advanced Orthopedics. When this orthopedist goes to revise the knee replacement, he finds that the left knee was incorrectly inserted by 12 degrees and caused instability in the knee. Additionally, the ligament removed during the surgery was not properly replaced after defendant doctor installed the knee appliance. 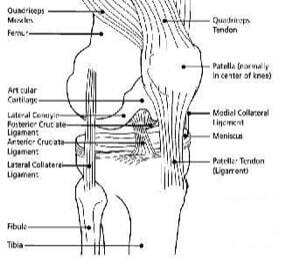 Plaintiff needs a revision of the left total knee arthroplasty and again requires physical therapy. He alleges that he suffered severe, painful and permanent injuries due to the negligence of his first surgeon. There are two general types of knee replacements: total knee replacements and unicompartmental (partial) knee replacements. In this case, the plaintiff got a partial knee replacement which is less invasive. You cannot do partial knee replacement if the knee has a contracture where you can't straighten your knee out all the way. You also need bone stock for a partial knee replacement. Plaintiff's case seems to be that the surgeon violated the standard of care by failure to insert the prosthesis in proper alignment and position. This requires the balancing the ligaments, which would provide stability and good function in all four planes. One key to this case is what the subsequent treating orthopedist is going to say. Will he testify - perhaps against his own colleague or partner if the doctor is with Advanced Orthopedics as the Complaint might suggest - that these 12 degrees were caused by surgical error? Orthopedic medical malpractice cases are tough. Having a treating doctor on board as an expert can change the balance of power. Because that doctor has more credibility than any other medical expert that will testify. In joint replacement, it is essential to use properly sized prostheses. If you choose the right size, you are likely to get good results. For example, the literature reports a greater than 98% success rate with the Zimmer uni-condylar knee prosthesis when the procedure is done properly with a properly sized prosthesis.Many of these knee replacement malpractice cases involve the surgeon making the wrong choice of prosthesis. The choices are porous coated uncemented, nonporous coated cemented, modular three piece or four piece, and posterior cruciate saving or posterior cruciate sacrificing. The prosthesis needs to have the proper position, alignment, and size (most cases seem to be where the size is too big, for whatever reason). But the choice needs to be an awful one to warrant a medical malpractice case. Juries are going to side with the doctors if the choice is defensible. Knee replacements are big business. They have often been rushed on the market. Our firm is currently looking a product liability knee replacement cases involving DePuy Attune, Exactech Optetrak and Arthrex IBalance. Have you suffered a permanent and severe injury due to the negligence of a doctor or surgeon? We can help you get the compensation that you deserve. Call Miller & Zois today at 800-553-8082 or get an online case review. We have a long history of obtaining large verdicts and settlements, and we can answer any questions you may have. You may have options for monetary compensation, and we can help you explore them.